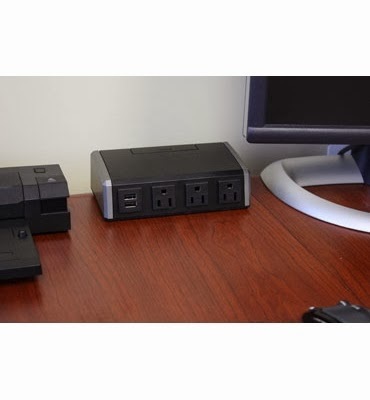 The Desktop Power Center kit includes all the hardware needed for do-it-yourself installation either through a desktop grommet opening or by attaching the unit to the edge of the work surface. Hole mounting hardware accommodates round openings from 1 ½" to 3" for installation flexibility. An easy-to-install bracket allows the unit to be mounted on desk edge. This convenient device features three 15 Amp power outlets and two USB charging ports. Surge protection is built in, so there is no need to install an additional power management component. The 6’ power cord provides increased flexibility by extending access to a wall outlet. 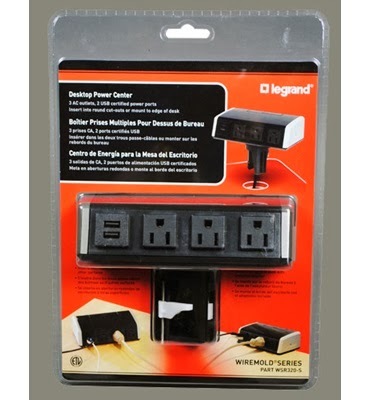 You can visit the Legrand DIY Project Corner for more information on this and other do-it-yourself projects.